These look great! And I love the idea of making the sugar cookies into bars Not that it’s difficult scooping the cookie dough… but one less step makes it quicker and easier. They are absolutely adorable. I’m sold! Pinned for making ASAP! Ohhh yum. As if cookie bars weren’t already delicious enough, slather on some of that frosting! if i had planned better, i would’ve made some + brought ’em to our coffee date earlier in the week. next time i’ll do that for sure! oh.my.goodness. these look amazing! I want one right now! I am bookmarking this one…I’ve got to find a party to make them for! I’m not a huge fan of sugar cookies, but those look heavenly. I also like your note about how they get softer overnight. I think I’d really enjoy them that way. You could easily change the icing color too for any fun occasion! This looks fabulous. I think it would be perfect for Spring. I really enjoy the soft texture of a cookie. I just need a cup of coffee and couple these cookies. My day would be set. i made these awhile ago and LOVED them. yours look so pretty on that plate! I have wanted to try these forever! They look just as good now as they did when I first saw them. Gorgeous pictures, and great pick for SRC! thanks so much, erin – you’ll definitely have to give ’em a try soon. i think you’ll love ’em! aww, you’re so sweet, christy – thanks for your kind words! 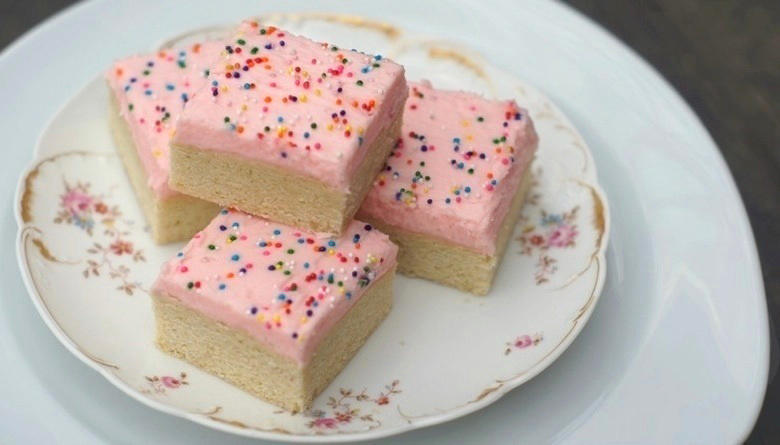 I go for bars over cookies any day… LOVE the pink frosting and sprinkles. amy these look so good, I love sugar cookies! Love the idea of transforming sugar cookies into bars. And they look so adorable with that pink frosting. i’m with ya – i don’t like crunchy sugar cookies (or really, most crunchy cookies), so i wasn’t sure if i was going to like these. fortunately, they were wonderfully soft + i loved ’em! Seriously, these look like little bites of heaven! They totally remind me of the sugar cookies with pink frosting and sprinkles that you can buy in the store. I’m def making these once lent is over! julie, they are totally reminiscent of those cookies, both in the texture + the frosting, but tastier! Yay…I’m so glad you’re in SRC. So you’re in Group D? I’m in Group C! 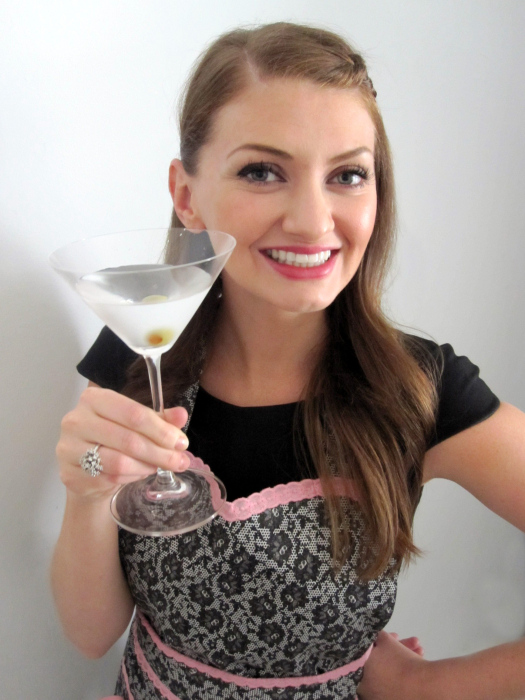 It’s such a fun thing to take part in…one of my favorite blogging events for sure! These cookie bars look AMAZING!! yup, i’m a group D’er! i’ve only participated in it twice so far, but have loved it both times. such a fun event! I’m trying these bars today! these look awesome! If they taste like a sugar cookie then I am in for 5 please! Love your perfectly cut squares and the cute sprinkles on top. They do look irresistible. Congratulations to you have having the most popular post for group D this month! I can absolutely see why. These sugar cookie bars look so pretty. I’m not an avid sweets eater either but the way you described these cookie bars make them sound very appealing. Nicely done! thanks so much, renee – i appreciate your kind words! These are so cute and must taste yummy!!! Great idea to make a sugar cookie into a bar. They look yummy. the secret blogger event sounds soooooooooo fun! I must, must, MUST try it the next go around. And who doesn’t love a good sugar cookie (especially when you add to the sugar factor by adding icing). It’s a diabetic’s dream come true! Great post! and I love that plate you shot the cookies on….reminds me of my mother’s wedding china! What a fabulous recipe and a beautiful photo to accompany it! These sugar cookie bars look delicious, Amy. Great job on them! These look so delicious Amy, and perfect for a special treat! The Secret Recipe Club sounds like alot of fun. Hope you have a wonderful week! Oh what fun! I’d love it if you’d link this one up to our Kids in the Kitchen Link up – open all week beginning on Tuesdays – It’s new but going well – we are encouraging families to get back to the table together and to get the kiddos in the kitchen!